Couldn't stand it today!!!! 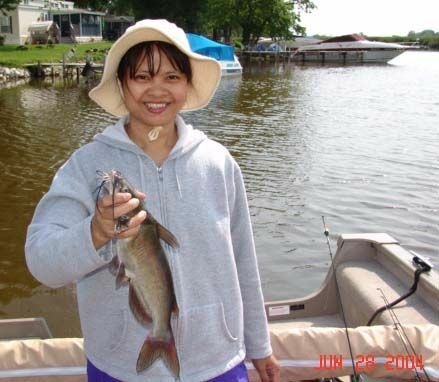 After yesterdays catch, I had the catfish fever. My wife and I launched at Barnacle Bob's about 2pm Loaded with crawlers and some fatheads just in case. Headed down to Fox Lake and fished the Indian Point channel. 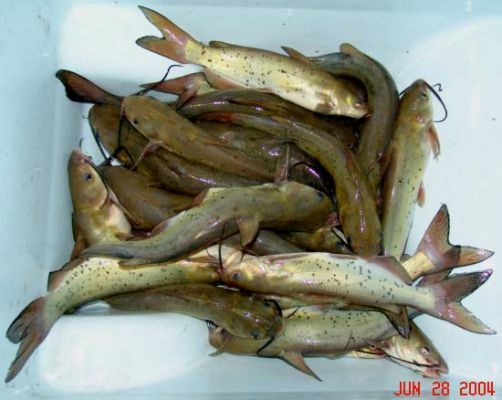 Between 3 and 7 pm we caught (if I counted right) 38 channel cats. Smallest being about 10 inches and biggest was 18 inches. The 10 incher is in my tank. 8) We also caught 2 drum and a Blue Gill. For awhile it was every other cast. We used slip bobbers and crawlers right on shore. Any place with fallen trees, brush or rocks along shore did the trick. Lost two big fish that we didn't even get a look at. It felt like cat's but who knows. Snapped the line in both cases. Still using 6lb. I think I'm gonna have to stop and get some 10 or 12lb Anyway kept 20 for the freezer, 10 were in the 16-18 range and ten were smaller, 12-15 inch. I know some of you cat guy's get bigger ones than this but it was great to have this kind of action. Anyone looking for cat's, has got to hit the chain soon!!!! Don't know how long this bite will last. They're even more fun through the ice on a 24" noodle rod and 2# test! I BET, Wally, These guy's really put up a good fight. I bought ice gear last year but due to herniated discs in my neck and back, I did not make it out on the ice. Although I have fished all my life, I have only ice fished a couple of times as a kid so I will be considered a newbee this coming winter. Don't want to rush it though, lots of fish to be caught in the soft water season. 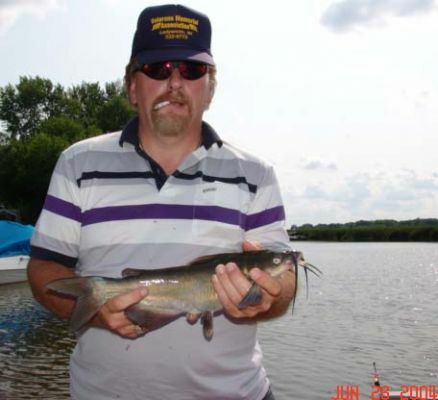 Chitown-Angler was started on February 10, 2003 and has received 207386522 page views in total since that date.